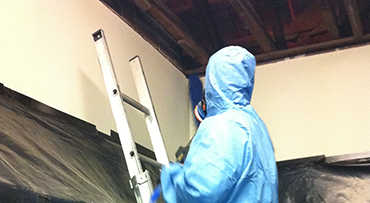 Are you searching for asbestos inspectors in New South Wales and the surrounding areas? Stormont Service provides highly effective asbestos inspection services and offers full assistance in the identification and assessment of asbestos in residential homes, commercial properties and industrial sites. We do everything in a hassle-free manner and also provide asbestos inspections certificates in Central Coast. We give topmost priority to your safety and our highly effective asbestos inspection service is tailored keeping in mind the unique requirements of your property. It involves a site visit, inspection of materials suspected to contain asbestos, on-site sampling, detailed analysis by a NATA approved laboratory, risk assessment and a detailed report. All samples collected are sent for testing to a NATA accredited laboratory and we not only provide you with asbestos inspections certificates in Central Coast but also a detailed report, which is loaded in our database for future reference. The detailed report includes the scope, survey summary, registry, and priority rating. We are a SafeWork NSW Certified Asbestos Assessor [License No. LAA001317]. Our team of fully licensed asbestos assessors have a vast wealth of experience in carrying out in-depth inspections and removal projects across New South Wales. They use all the latest equipment, right tools, safe methods and techniques to provide you with a hassle-free service. Contact us today or use our online inquiry form for further information about our service.